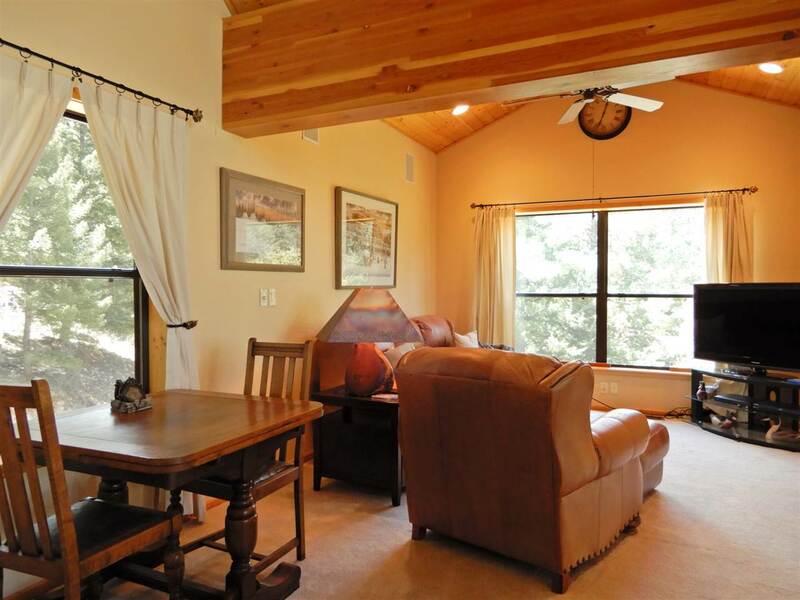 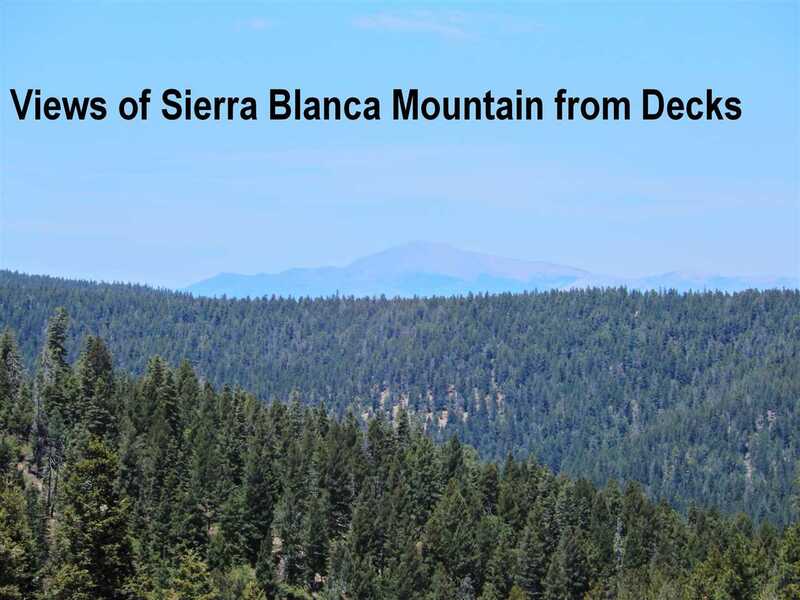 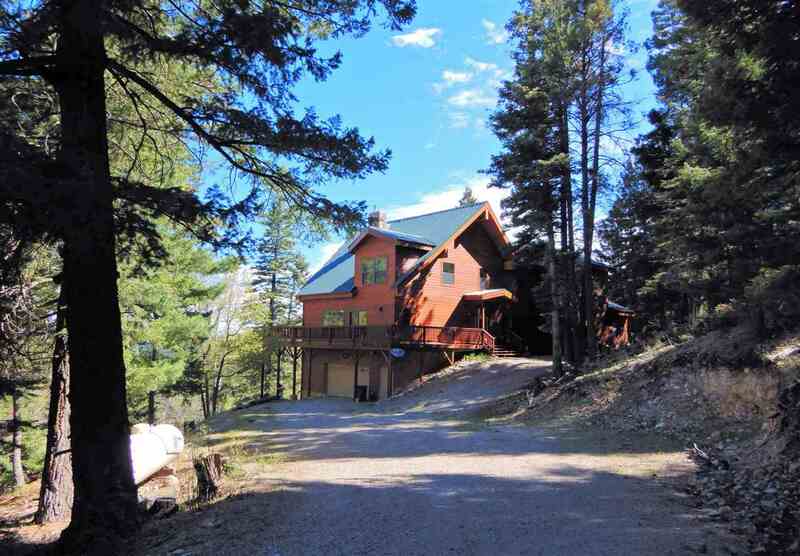 Escape to luxurious home secluded on 28 acres with long views to Sierra Blanca. 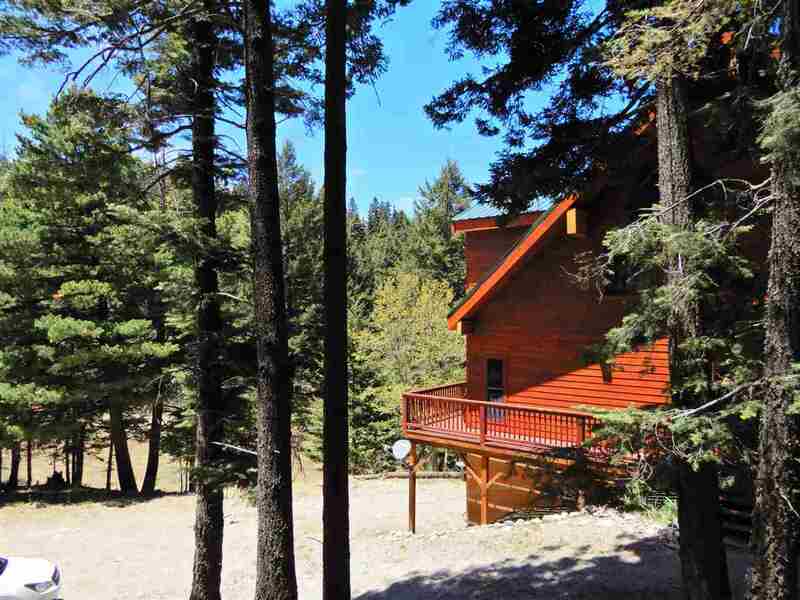 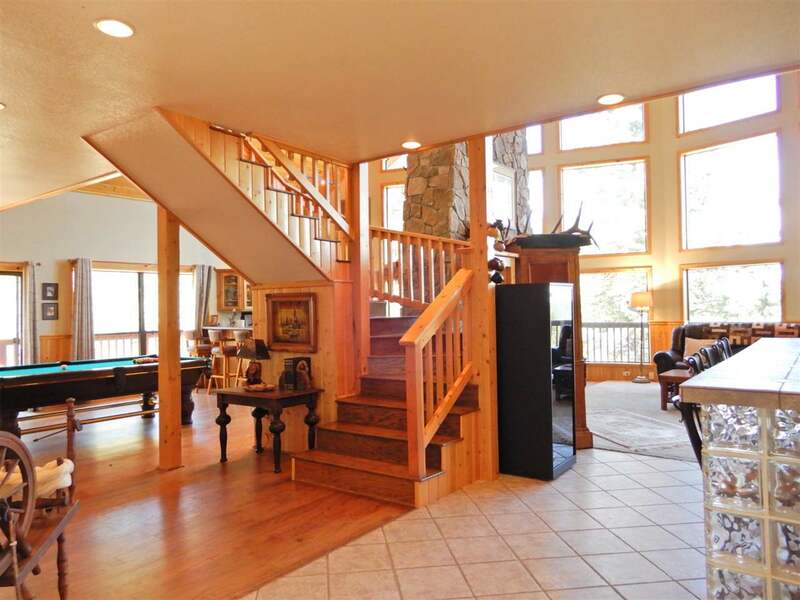 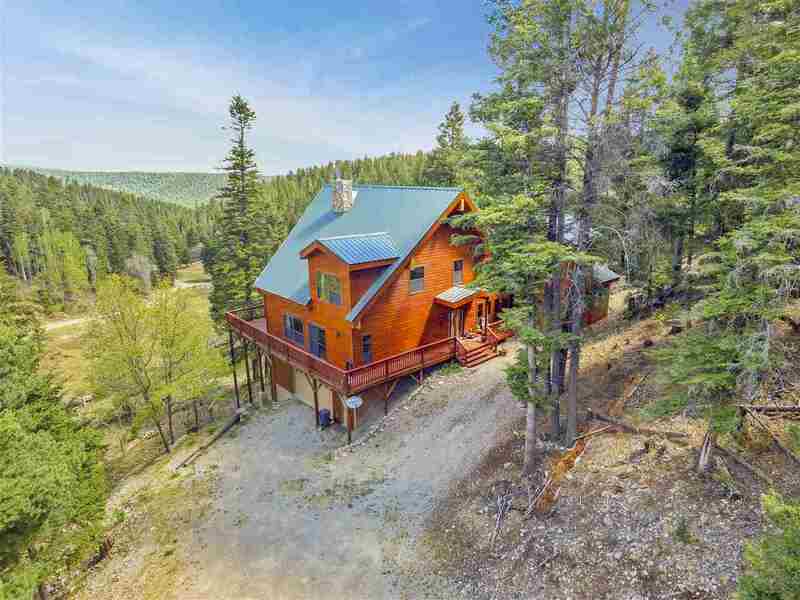 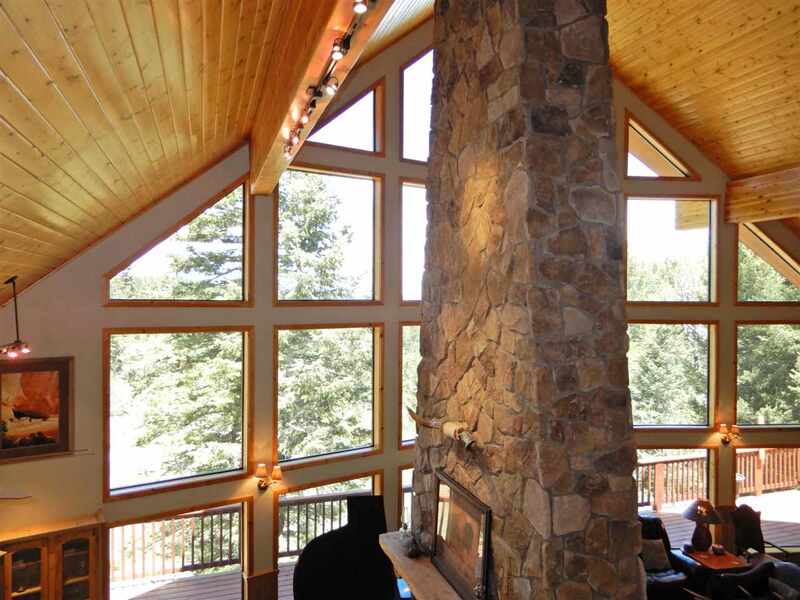 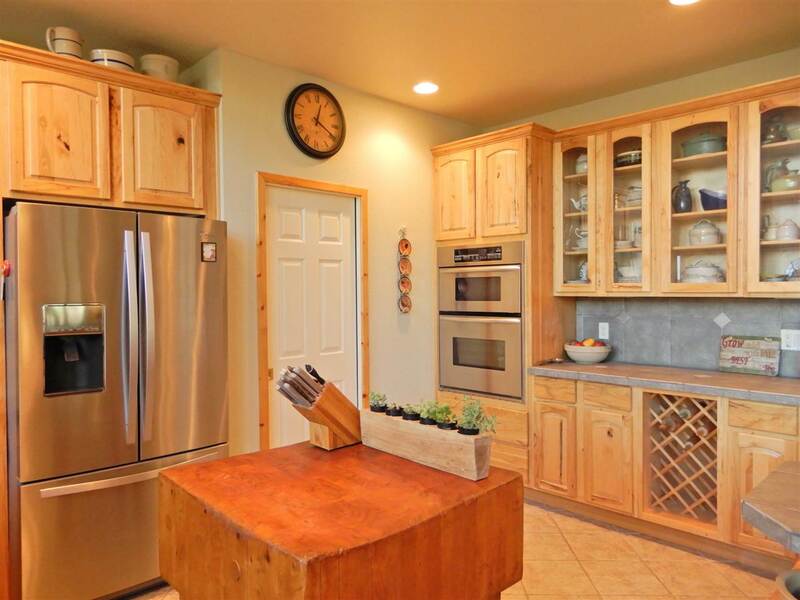 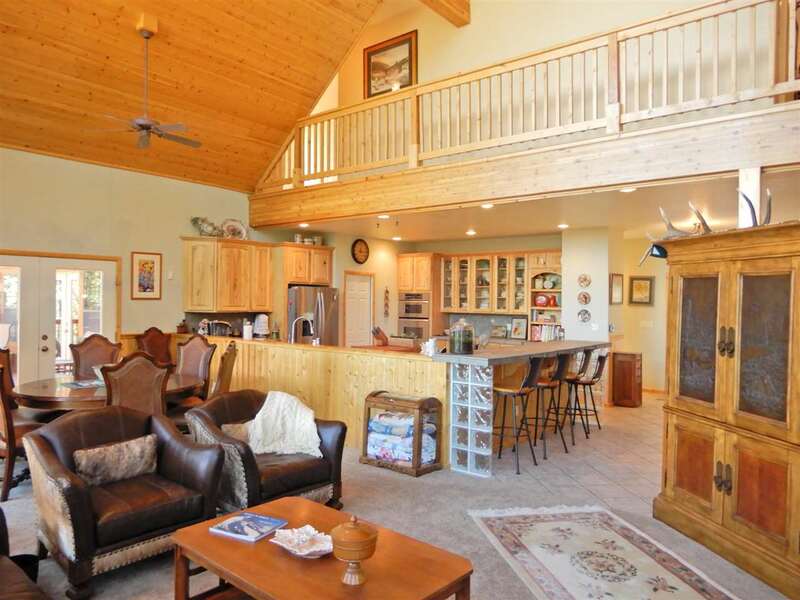 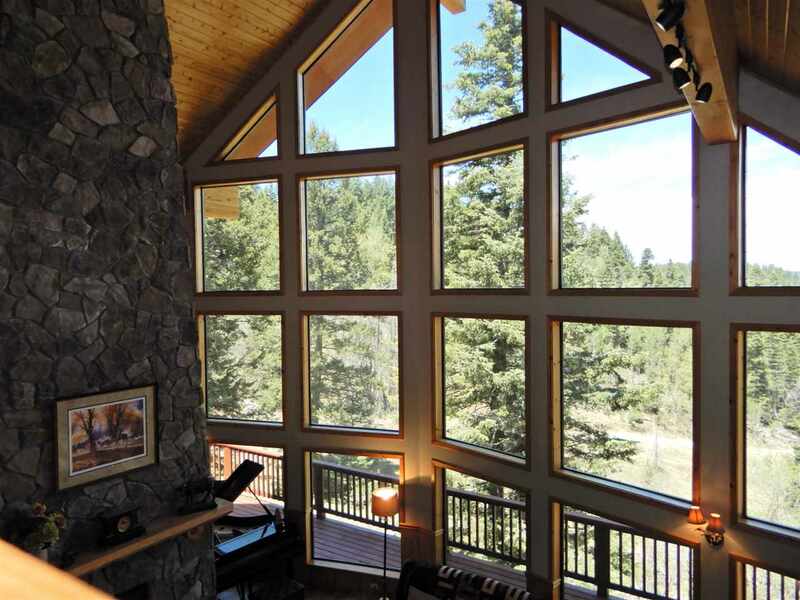 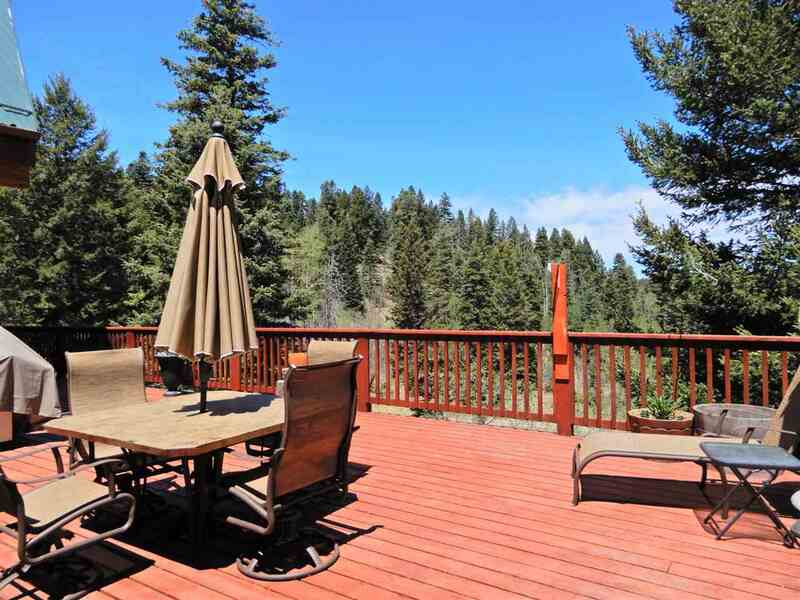 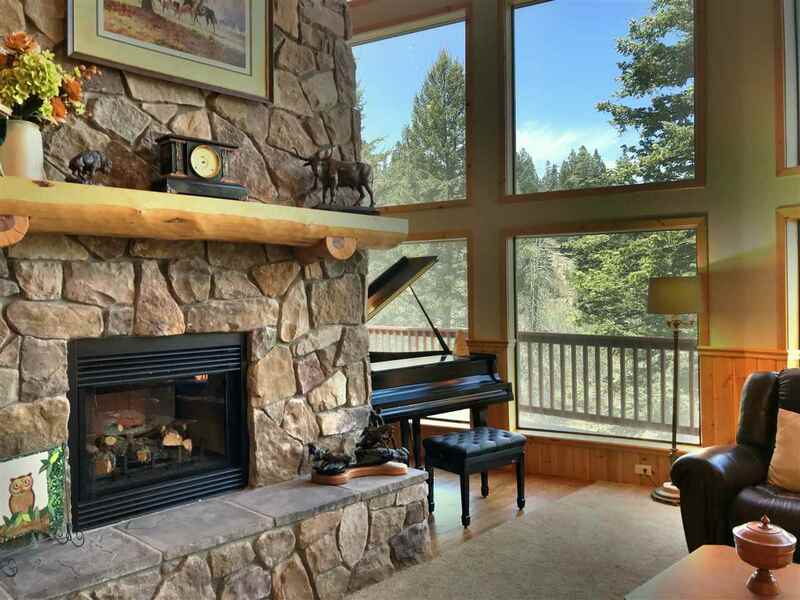 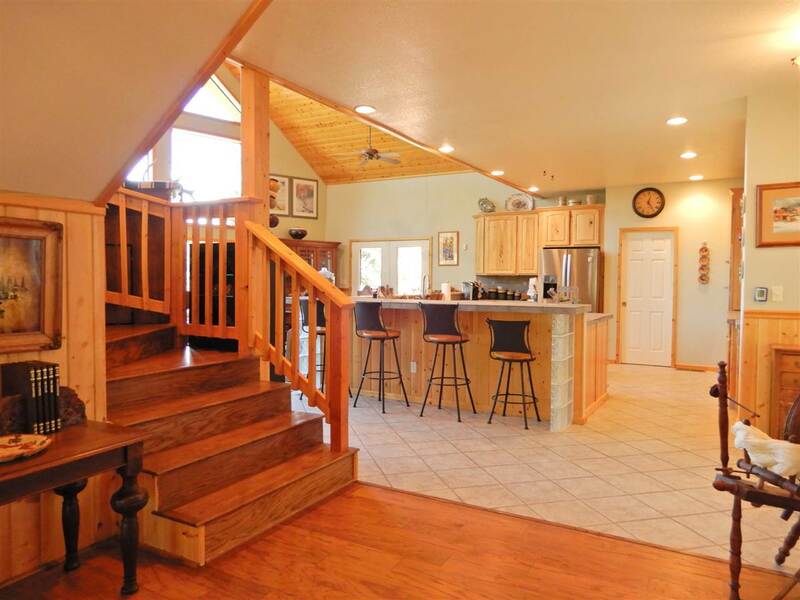 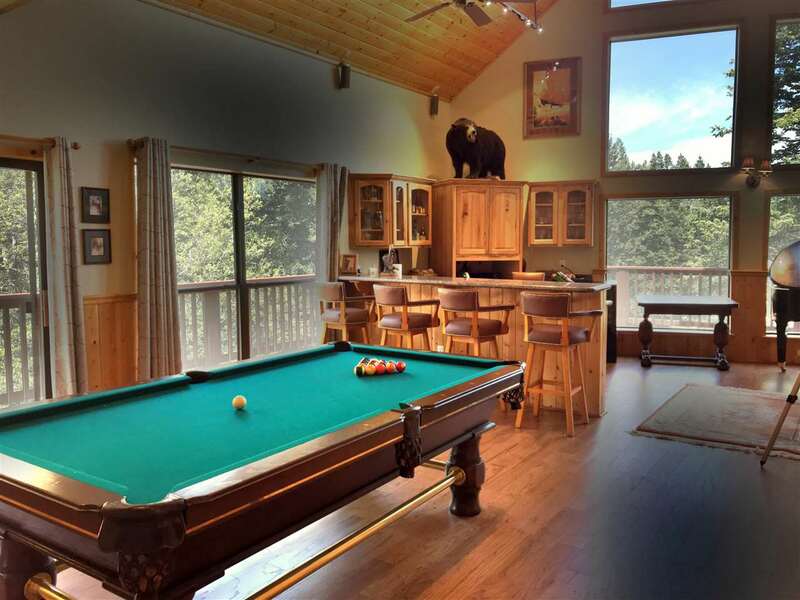 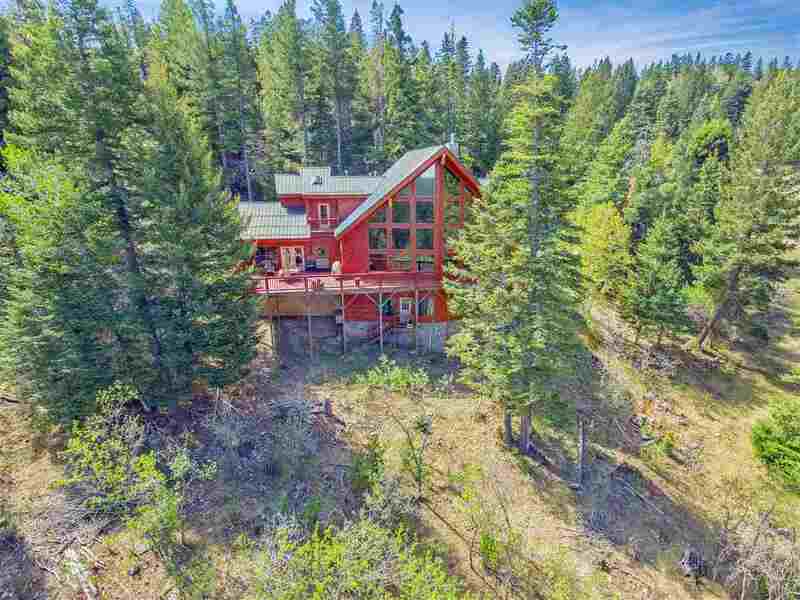 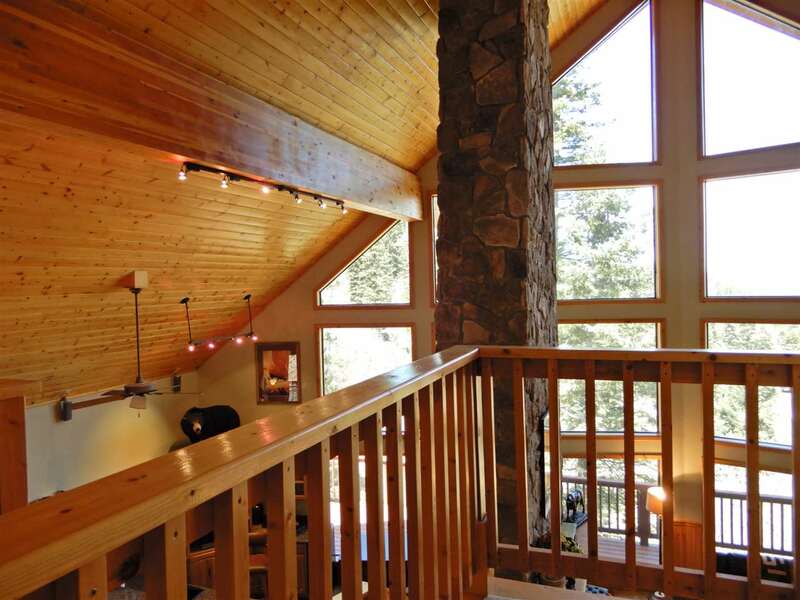 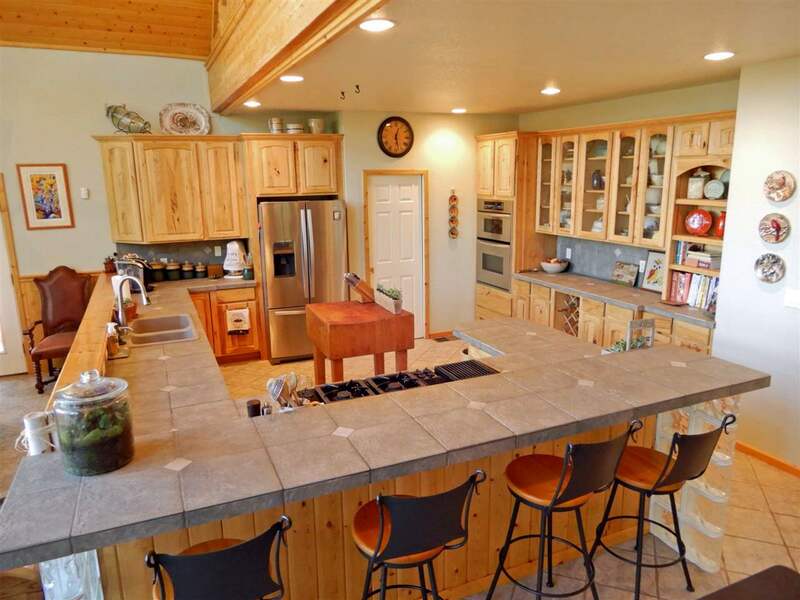 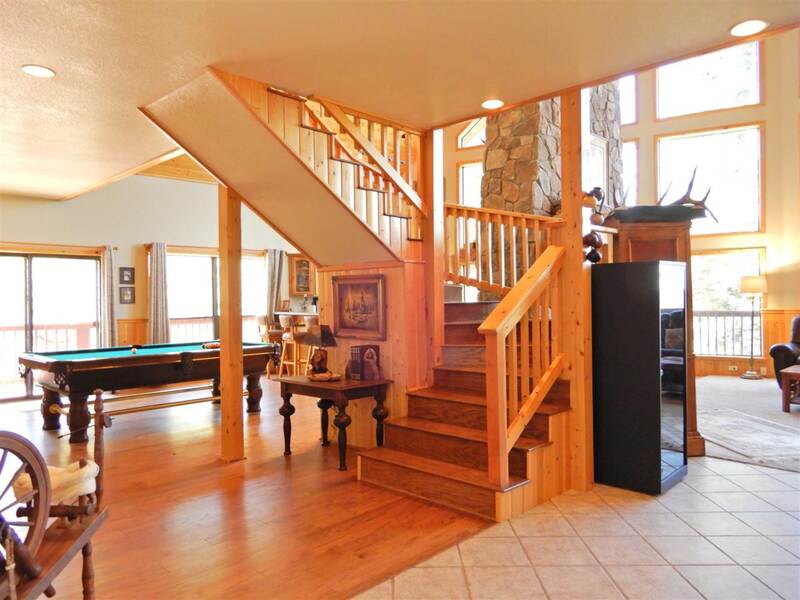 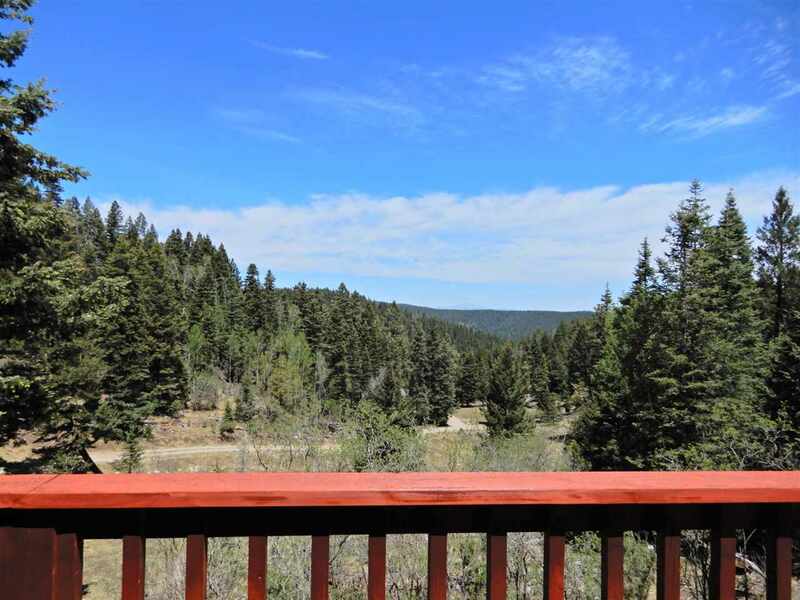 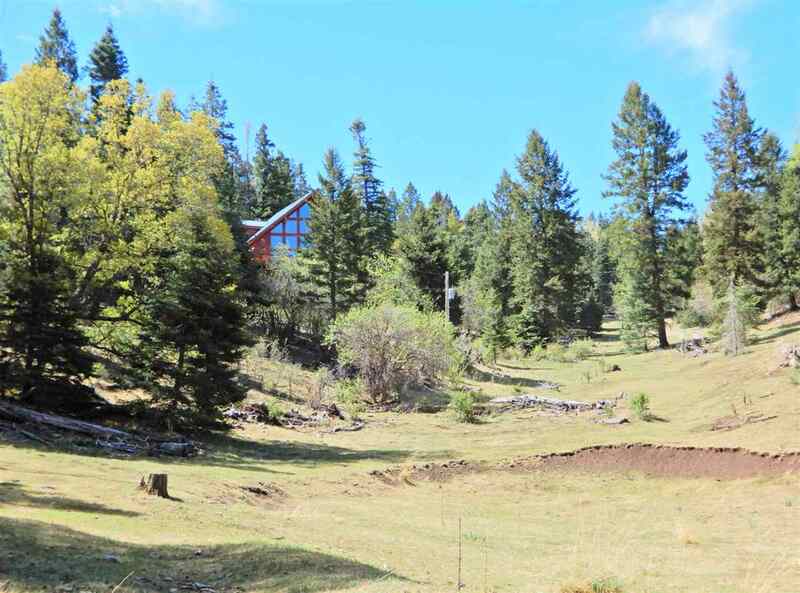 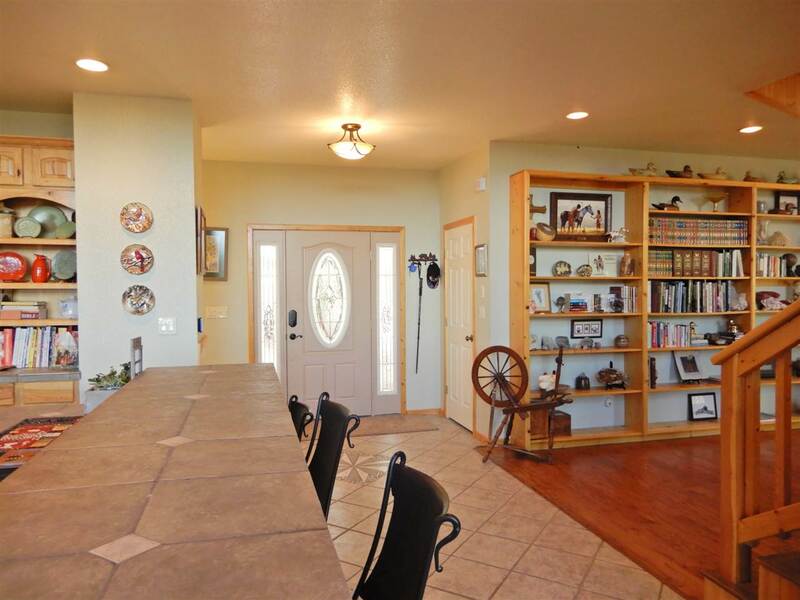 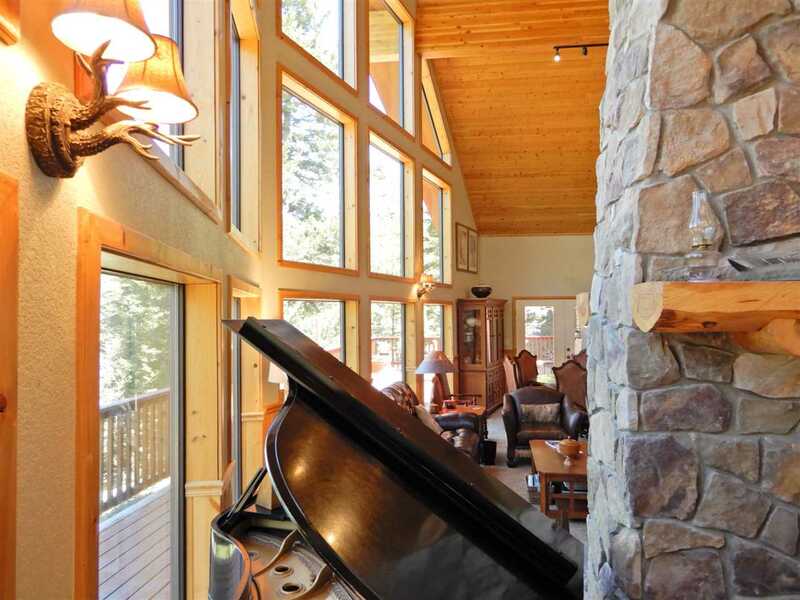 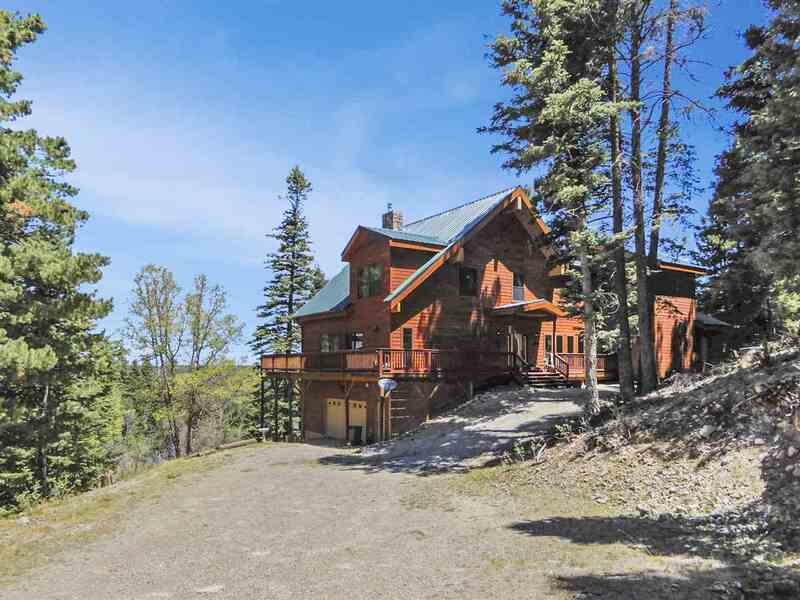 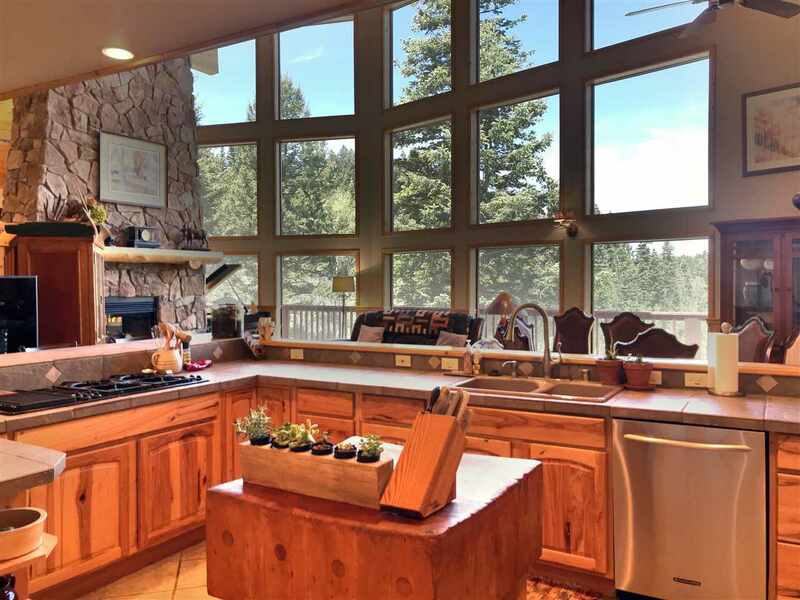 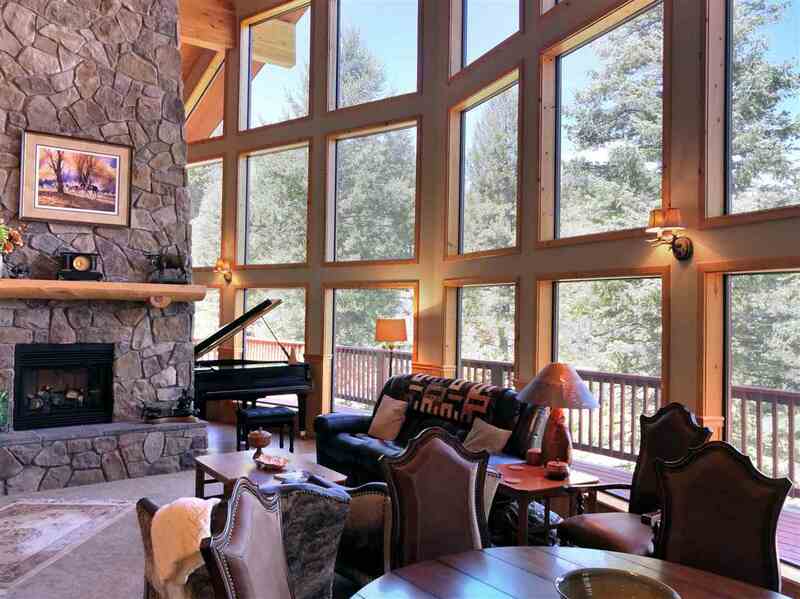 Acreage is meadow with forest, home built in '05 sits at top spot, built to take in mountains & large skies from every room. 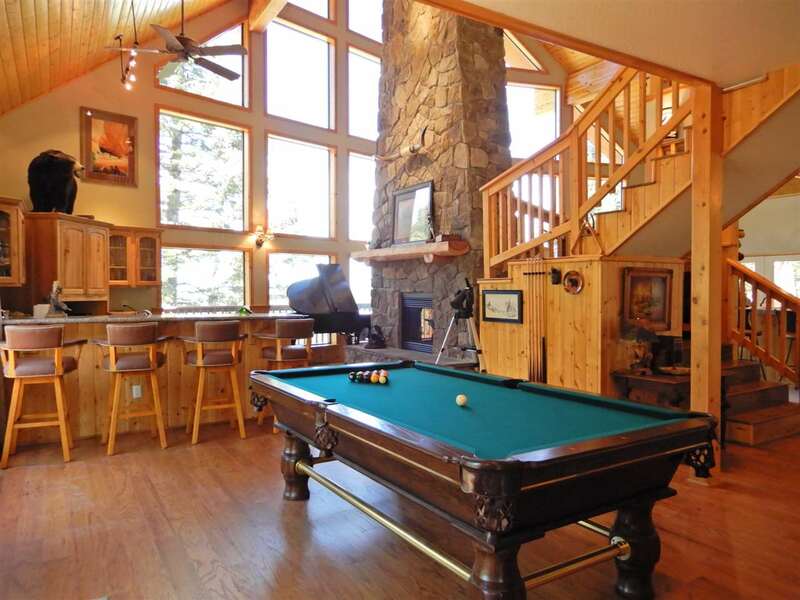 Grand living with 30' wood vault ceiling, massive wood beams, 28' stone fireplace chimney is centerpiece between game & living areas. 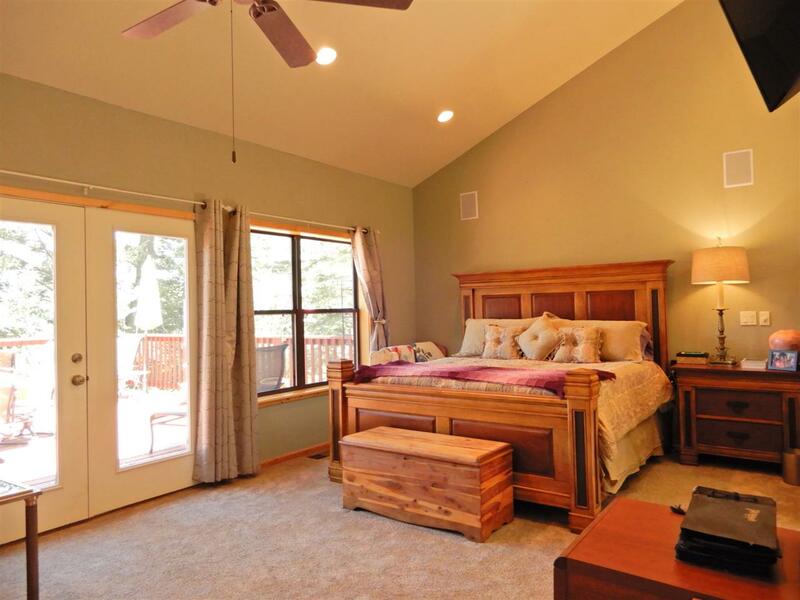 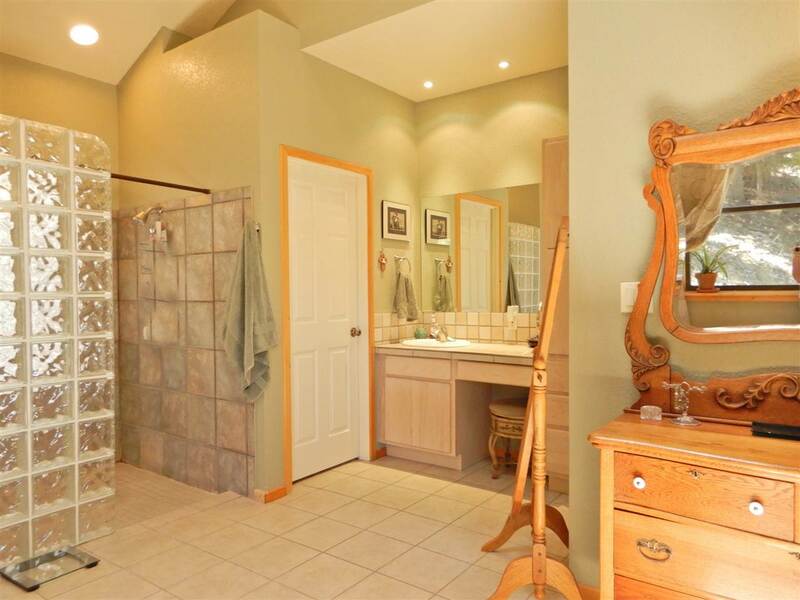 Large master suite, each bedroom has private bath. 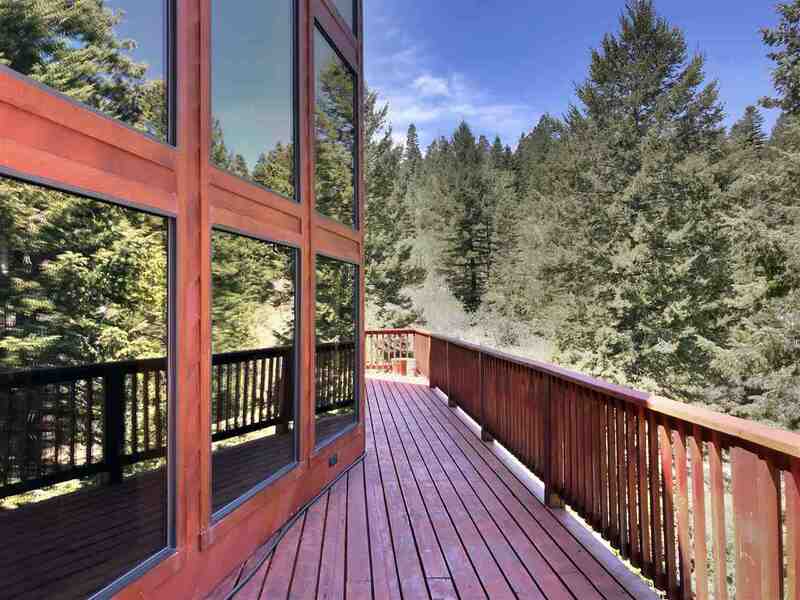 Deck wraps 3 sides. 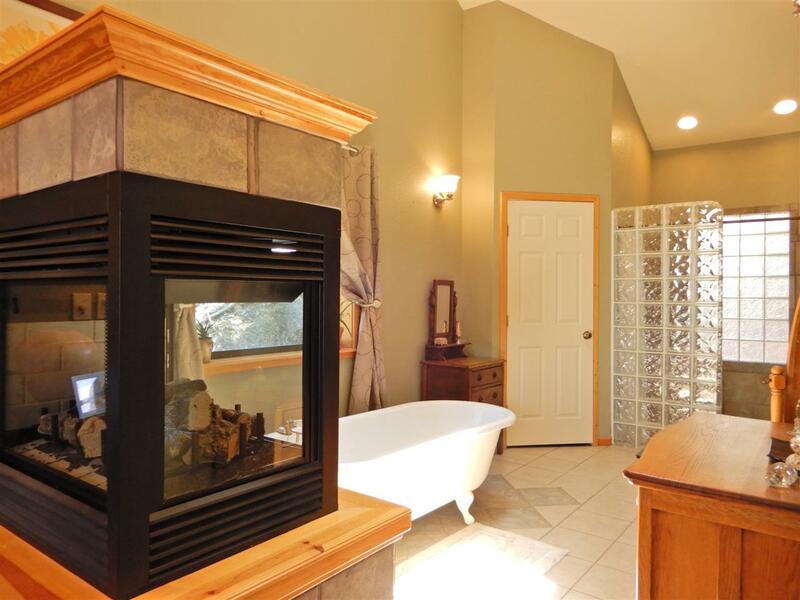 Caretaker quarters in basement level. 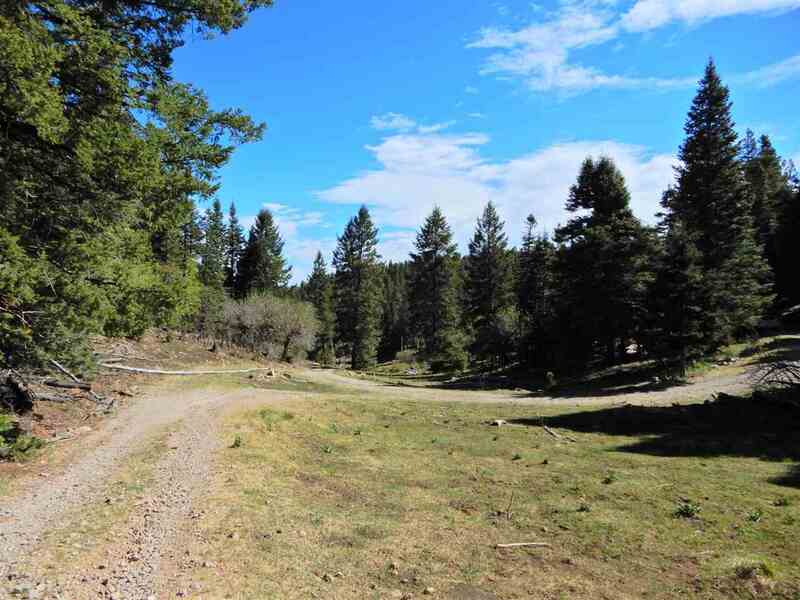 Approx 7 mi to Cloudcroft. 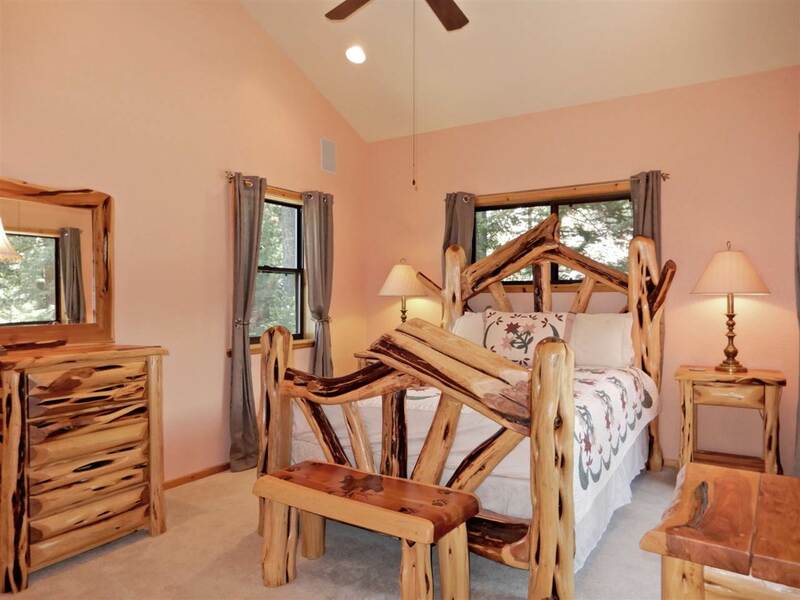 Some furnishings offered.